Wasabi 4-Bean Snack Mix by OliveNation features crunchy beans coated in spicy wasabi. Serve the snack at parties, enjoy it on a hiking trail, take it for lunch -- the snacking possibilities are endless for this Asian-inspired mix. Wasabi 4-Bean Snack Mix is an exhilarating treat with spicy and sweet flavors exploding on the palate. Wasabi 4-Bean Snack Mix by OliveNation features crunchy beans coated in spicy wasabi. Serve the snack at parties, enjoy it on a hiking trail, take it for lunch -- the snacking possibilities are endless for this Asian-inspired mix. 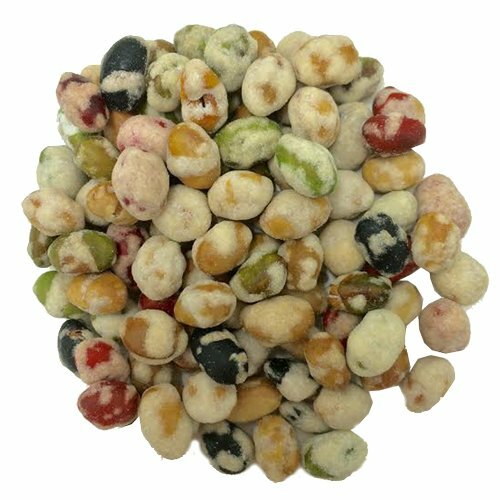 Wasabi 4-Bean Snack Mix is an exhilarating treat with spicy and sweet flavors exploding on the palate.